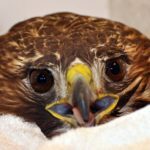 This red-tailed hawk was probably hit by a vehicle while scavenging a meal near the side of the road. 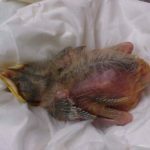 It was found paralyzed, but still alive near a dead rabbit. The hawk was brought to me by someone who cared enough to stop when they saw the poor hawk using its wings to move. 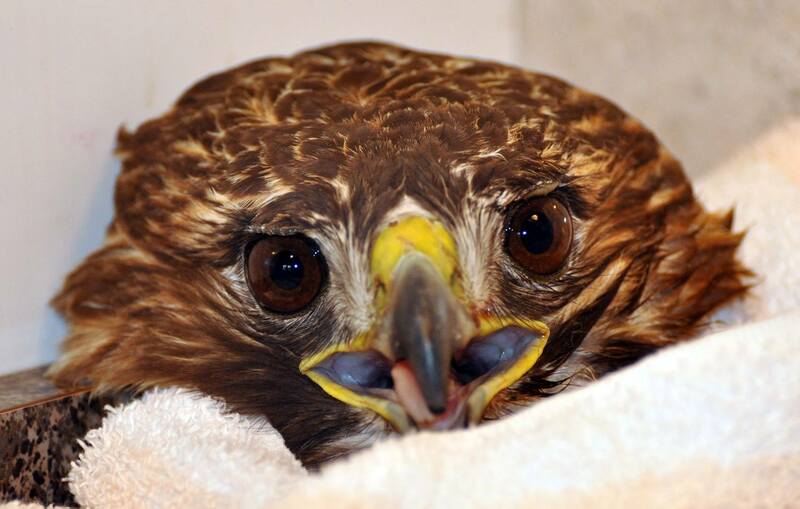 Unfortunately for the hawk, it was fatally injured, but at least it did not have to suffer at the side of the road. If you find dead animals in the road, please report them for “cleanup” to your state or local Department of Transportation. Keep their phone number in your phone. If they clear the road of dead animals, it may help wild birds by preventing collisions with cars. In addition, please slow down and be alert when you are driving on roads where wildlife may be around. Do not throw food or garbage out of your car when driving. 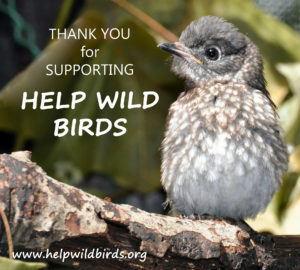 Please share to help wild birds.